Joey Logano, 26, won his first race of the season Sunday at Richmond in his 300th career start. He’ll attempt to win again in his 301st start in Sunday’s GEICO 500 at Talladega Superspeedway (2 p.m. ET on FOX, MRN and SiriusXM NASCAR Radio) – a track where he won the latest race last fall. Logano has taken the checkered flag in the last two fall races at Talladega, but claims only two top-10 finishes at the 2.66-mile behemoth in the spring (ninth in 2009 and 10th in 2011; both with Joe Gibbs Racing). Overall the No. 22 Team Penske driver has two wins, four top fives, six top 10s and an 18.7 average finish in 16 starts at Talladega. Joey Logano isn’t the only Team Penske driver who’s had success recently at Talladega. Brad Keselowski has combined with his Penske teammate to win four of the last five races there (Logano: fall 2015, fall 2016; Keselowski: fall 2014, spring 2016). In fact, Keselowski is arguably the top driver in the Monster Energy NASCAR Cup Series at the Alabama track. In 16 career starts there, he owns four wins, six top fives, nine top 10s and an average finish of 15.4 (third-best in the Monster Energy NASCAR Cup Series). 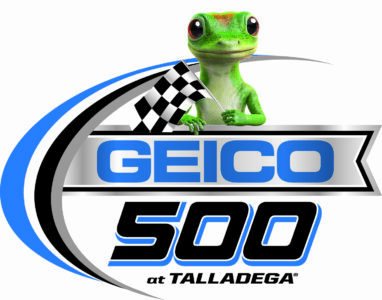 Sunday’s GEICO 500 marks Dale Earnhardt Jr.’s final spring race at the Talladega Superspeedway – his top track. Earnhardt’s six wins at Talladega rank tied with Jeff Gordon’s total for second all-time. His father, Dale Earnhardt, holds the track record with 10 victories. In addition to his triumphs, Earnhardt has 12 top fives, 16 top 10s and a 15.4 average finish at the 2.66-mile behemoth. Among active drivers, he claims the second-best driver rating (92.0) and third-best average running position (14.4). Earnhardt, who announced he will retire after this season, has struggled so far in his final campaign. He has one top-10 showing, a finish of fifth at Texas. He’s currently 24th in the Monster Energy NASCAR Cup Series standings. Many of the Monster Energy NASCAR Cup Series “Young Guns” performed well at Talladega last season and are poised to finish up front again in Sunday’s race. Last spring, four drivers currently 27 or younger finished in the top 10: Austin Dillon (third), Chase Elliott (fifth), Ryan Blaney (ninth) and Trevor Bayne (10th). In last season’s fall Talladega race, five drivers currently 27 or younger finished in the top 12: Joey Logano (first), Kyle Larson (sixth), Dillon (ninth), Blaney (11th) and Elliott (12th). There was some movement at the top of the Monster Energy NASCAR Cup Series standings following Sunday’s Toyota Owners 400 at Richmond – a race that set the spring track record for most green flag passes (2,495). Martin Truex Jr. jumped from third to second following his 10th-place showing. Chase Elliott dropped one spot to third after finishing 24th. The current top five features drivers from all three manufacturers: 1. Kyle Larson (Chevrolet), 2. Truex (Toyota, 40 points behind Larson) 3. Elliott (Chevrolet, -52) 4. Joey Logano (Ford, -65) 5. Brad Keselowski (Ford, -71). Keselowski leads the series with 11 playoff points. Truex ranks tied with Jimmie Johnson for second with 10. They are followed by Larson with seven and Logano with six. 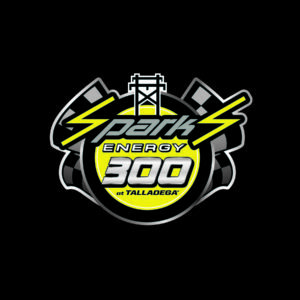 With a little more than a race win’s worth of points (41) between himself and second-place Justin Allgaier in the NASCAR XFINITY Series standings following Richmond, Elliott Sadler can go all out in defending his 2016 win at Talladega Superspeedway in the Sparks Energy 300 this Saturday, May 6 (1 p.m. ET on FOX, MRN and SiriusXM NASCAR Radio). If Sadler can successfully defend his win this weekend, he will tie Martin Truex Jr. for the series-most wins at Talladega with three each. Sadler’s two Talladega wins have him tied with Joe Nemechek and Joey Logano for the second-most NXS Talladega wins all-time. He will also become just the second driver in series history to win consecutive races at Talladega, joining Martin Truex Jr. who won three straight (2004-2006). Sadler has been one of the best at restrictor-plate tracks (Daytona and Talladega) over the last three seasons. During that time, the NASCAR XFINITY Series has run 10 restrictor plate races and Elliott Sadler (two) and Ryan Reed (two) are the only two drivers with multiple wins. Plus, earlier this season Sadler dominated the Daytona season-opener, winning the first two stages and leading a race-high 40 laps before being caught in a multi-car incident late in the race. Sadler has made eight series starts at Talladega, posting two poles, two wins (spring of 2014 and 2016), three top fives and five top 10s. His average finish on the famed 2.66-mile track is an 11.5. Justin Allgaier Moves To Second In Points, Takes Dash 4 Cash After Strong Performance At Richmond Well one thing is for sure, Justin Allgaier’s pockets are lined with cash, Dash 4 Cash that is, as the JR Motorsports driver took home his second $100,000 dollar check of the season this past weekend at Richmond International Raceway, following a dominating performance in which he led 157 laps and finished second. As a result of the stellar performance, Allgaier jumps to second in the series standings, 41 markers back from his JR Motorsports teammate and standings leader Elliott Sadler. Allgaier will look to close the points gap between himself and the standings lead this weekend at Talladega. Allgaier has made six starts on the 2.66-mile track, posting two top fives and four top 10s. He also has the third-best average finish among championship contenders on restrictor-plate tracks over the last three seasons. Richard Childress Racing might have found themselves a diamond in the rough with Sunoco Rookie of the Year candidate Daniel Hemric, who, since Daytona (last seven races), has moved up 22 spots in the NASCAR XFINITY Series standings from 26th to fourth heading into Talladega this weekend. A Kannapolis, North Carolina, native, Hemric is amidst a great comeback in the series points. After being caught in an incident in the season-opener at Daytona that relegated him to a 31st-place finish and a 26th-place ranking in the points, he has rallied to post two top fives, four top 10s and won a Dash 4 Cash bonus at Bristol in the process. Now the RCR youngster sits fourth in points after coming off his best finish of the season (third). This weekend will be Daniel Hemric’s series track debut. Though he does have some Talladega track experience, he made two NASCAR Camping World Truck Series starts at the superspeedway; posting a best finish of 11th last season. The great grandson of NASCAR founder Bill France Sr. and grandson of Bill France Jr., Ben Kennedy, will return to NASCAR XFINITY Series competition this weekend at Talladega Superspeedway after signing a multi-race deal with Richard Childress Racing (nine races) and GMS Racing (12 more races). Kennedy has been working for months to line the two deals up and is supremely focused on the development of his driving career. “I’m very ready to go,” said Kennedy. “It’s been a long offseason for me, so it’s great to know Talladega is around the corner and even better to know we’re going to Charlotte after and will have a pretty busy schedule,” Kennedy said. “I’m looking forward to it.” Kennedy will strap into the No. 2 Richard Childress Racing Chevrolet Camaro this weekend with crew chief Justin Alexander calling the shots from the pit box. His first start with GMS Racing will not be until May 27 at Charlotte Motor Speedway. GMS Racing will be expanding to a second car to accommodate Kennedy, who will be working with his former NCWTS crew chief Jeff Stankiewicz. Monster Energy Series Drivers To Watch On Saturday: Ty Dillon, Daniel Suarez, Erik Jones, Joey Logano, Aric Almirola, and Kasey Kahne make up the six Monster Energy NASCAR Cup Series regulars that will be competing in the NASCAR XFINITY Series race this weekend. Restrictor-Plate Kings In The NXS: NASCAR Hall of Famer Dale Earnhardt and former driver/current car owner Tony Stewart lead the NASCAR XFINITY Series in wins on restrictor-plate tracks (Daytona and Talladega) with eight wins each. Joey Logano leads all active drivers in the NASCAR XFINITY Series with three; followed by Elliott Sadler and Ryan Reed with two each. Whoa, That Was Close! Top Five Closest NXS MOVs At ‘Dega: The 1999 Talladega Superspeedway race is tied with the 1996 Milwaukee event as the two closest finishes in the NASCAR XFINITY Series since the inception of electronic scoring in 1993 at 0.002. Here are the five closest margin of victory finishes at Talladega Superspeedway in the NXS: 1999 (0.002); 1994 (0.008); 2009 (0.030); 2012 (0.034) and 2007 (0.052). Sunoco Rookie Of The Year Update: William Byron continues to hold the rookie standings lead following Richmond, but Daniel Hemric closed Byron’s points lead from 17 markers following Bristol down to just five after Richmond. Cole Custer (-28) in third, Matt Tifft (-32) in fourth and Spencer Gallagher (-37) in fifth have their work cut out for them if they want to catch Byron. With the NASCAR Camping World Truck Series two weeks away from racing at Kansas Speedway, below are some quick facts on the NASCAR Camping World Truck Series at Kansas. The NASCAR Camping World Truck Series hits the track next for the Toyota Tundra 250 at Kansas Speedway on Friday, May 12 (8:30 p.m. ET on FS1, MRN and SiriusXM NASCAR Radio). Bell Climbing NASCAR Ladder – Will Run Handful Of NASCAR XFINITY Series Races Joe Gibbs Racing announced Monday that NASCAR Camping World Truck Series driver Christopher Bell will drive seven NASCAR XFINITY Series races during the 2017 season. Bell will make his NASCAR XFINITY Series debut in the JGR No. 18 Toyota Camry in the Hisense 300 on May 27 (1 p.m. ET on FS1, PRN and SiriusXM NASCAR Radio) at Charlotte Motor Speedway. He will then drive the No. 20 Toyota Camry for JGR for two races; June 24 at Iowa Speedway and Sept. 8 at Richmond International Raceway. Heading into Kansas Speedway next weekend for the Toyota Tundra 250, below is a look at how the Sunoco Rookie of the Year contenders have performed through three races this season: Kaz Grala: Grala remains in the lead for the Sunoco Rookie of the Year Award thanks to his season-opening win at Daytona International Speedway. The GMS Racing driver currently sits fifth in the NASCAR Camping World Truck Series points standings and will look to extend his lead in the Sunoco Rookie battle at Kansas. Noah Gragson: Gragson skyrocketed in the Sunoco Rookie of the Year points standings from seventh all the way to second after a top-five finish at Martinsville Speedway. The fourth-place finish was the best NASCAR Camping World Truck Series finish of his young career. The Kyle Busch Motorsports driver will be looking for his first career win at Kansas. Chase Briscoe: Briscoe has had a consistent start to his Sunoco Rookie season – scoring three-consecutive top 25s to start his NASCAR Camping World Truck Series career. The Brad Keselowski Racing driver is currently third in the Sunoco Rookie of the Year points standings. Grant Enfinger: Enfinger currently sits fourth in the Sunoco Rookie of the Year points standings and has had a strong start to the 2017 NASCAR Camping World Truck Series season. He’s finished top-17 or better through three races this season and has led four laps. If the NASCAR Camping World Truck Series playoffs began today, the ThorSport Racing driver would own the final playoff spot. Cody Coughlin: ThorSport Racing and Sunoco Rookie driver Cody Coughlin has been a wizard in place differential during his first full-time NASCAR Camping World Truck Series season. He owns an average finish this season of 15.3, with an average place differential of +4.7. Coughlin is fifth in the Sunoco Rookie of the Year standings. Wendell Chavous: Chavous has started out strong in his Sunoco Rookie season, scoring three top 25s through three races in his first full-time NASCAR Camping World Truck Series season with Premium Motorsports. Chavous sits sixth in the Sunoco Rookie of the Year points standings. Austin Cindric: Brad Keselowski Racing driver Austin Cindric has had a bumpier start to his first full-time season in the NASCAR Camping World Truck Series. He has two top-25 finishes through three races and sits seventh in the Sunoco Rookie of the Year point standings. He will look to get back on track at Kansas. Stewart Friesen: Canadian-born Stewart Friesen currently sits seventh in the Sunoco Rookie of the Year points standings and has two-consecutive top 25s. The rookie is in his first full-time NASCAR Camping World Truck Series season with Halmar-Friesen Racing. Justin Haley: Haley sits ninth in the Sunoco Rookie of the Year points standings in his first season with GMS Racing. He’s raced in one NASCAR Camping World Truck Series race this season and finished 26th at Martinsville Speedway.